Brenda Novak is a very intense author. I’ve read her before so I knew what to expect. “Home to Whiskey Creek” deals with a lot of serious and very scary topics. Although I applaud the author for speaking about these issues, at times it was very difficult to hear about. I say this only because sometimes we read a romance novel for some light fun and this book is definitely not light. When the story begins, I mean the very beginning, our heroine is stuck down in a mine. Adelaide Davies was basically kidnapped from her home and thrown in a deserted mine after returning back to Whiskey Creek. The purpose of this was to warn her. The kidnapper wanted her to keep her mouth shut about a terrible crime she suffered back in high school. Noah Rackham is riding his bike when he hears her crying for help. When Addy returns home, although she is grateful to Noah, she basically wants nothing to do with him. There are many different reasons for this and I enjoyed learning about Addy and her history. So a couple of things about the series. Because it centers on a group of friends who live in Whiskey Creek or return to Whiskey Creek the author has a habit of bringing them all into the story. I personally find this to be too overwhelming. There are so many different characters to keep track of. Also, I thought that Noah and Addy fell in love too quickly. Noah knows very little about Addy. He was the popular jock in high school and she was one of the smart kids. Aside from that he knows nothing about her, who she is as a person but he can’t understand why she doesn’t fall at his feet like all the other women in his life. This refusal is enough to intrigue him. Despite these observations, I was intrigued by the story and the characters. Baxter, Noah’s best friend also has a sub-story and I really liked that Novak dealt with it very honestly and realistically. I also really got to like Noah because of his relationships, even his complicated ones. Addy had her own share of complicated relationships and I thought that they really gave a lot of insight to her character as well. The narrator, Carly Robins, did a really good job. She had to voice many different characters and I thought she was able to give them all a distinctive sound. As I said previously, Novak is an intense writer and since some of her stories are pretty intense they are not always easy but I was completely intrigued and wanted to see how she would play our all the different plots involved. I really enjoyed this book! 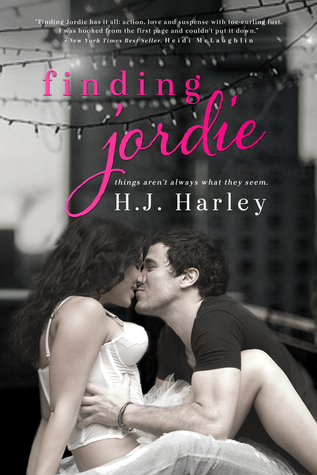 Finding Jordie was so good, and I will definitely be reading more by H.J. Harley in the future. This book was well written and entertaining, and I didn't want to put it down. I can't wait to read the next book in this series and get more of these amazing characters. After losing her husband, Jordie Spagnato returned home to New York to raise her daughter alone. She bought a bar and has turned it into a successful hot spot. One night she meets Nathan Harper and he helps her out when she gets into an incident with some drunks in her bar. Nathan and Jordie start to get to know one another and soon they are feeling things they have never felt before. But Nathan has things that he hasn't shared with Jordie that could change everything. What happens when the truth comes out and when Jordie's past suddenly returns? Nathan was amazing. Super sweet and funny, and I loved how strong his feelings were. He had no problem admitting things to Jordie when it came to what he was feeling and he was genuinely interested in her and her daughter. He wanted to take care of them and he was just a really great guy. Jordie was strong and independent, and I loved her relationship with her daughter. They were so real and I loved that they had so much fun together. Emma was so cute, and I loved that she was so much more mature than her age. She took instantly to Nathan, and just wanted her mom to be happy. Things between Nathan and Jordie happened fast, but it was so natural. You could really see the connection and chemistry between them, and they were perfect together. I really loved this story and I thought that it was so great because of the characters. They were so easy to like and root for, and I loved that their personalities were so unique and different. These characters were true to themselves and they were not the typical cookie cutter types that are so often found in romance stories. I loved that this book a romantic suspense story, but that the romance wasn't overshadowed by the suspense. I don't often read romantic suspense because I find that usually the relationship isn't the heart of the book and that is what I read romance for. But with Finding Jordie that was not the case at all. The love and relationship was really the star of the story and that was what kept me turning the pages. I can't wait to get more of these characters and from H.J. Harley in the future. Although I had some issues with the story, when Faith and Ryan “break up” it was so sad and heartbreaking that I wanted them to work out their issues. The grandfathers will was a little far-fetched and the cousin that was supposed to oversee the authenticity of their marriage was a little creepy but overall I really enjoyed this story. I wanted the characters to be happy and I wanted to see how they would resolve their marriage. Also, I enjoyed the narration by Elizabeth Hart except that she made Faith sound so whiney it made her seem almost too childlike. But overall, her narration was enjoyable. Game On is the third book by Collette West about the guys of the New York Kings baseball team. Each of these books are standalone and can be read by themselves, though the characters are connected and some of the backstory will be missed by reading individually. I hadn't read any of the books in the series before Game On, but I didn't have any problems understanding what was going on. While I didn't have any problems with that, I did have some issues with the characters and the story itself. Bruce "Jilly" Gillette has always been a loner. He is a successful pitcher for the New York Kings, but prefers to keep to himself rather than deal with the publicity and fame that being a pitcher has brought him. After the team decides that his image needs a revamp after his latest heartbreak, they set him up with a winner from a dream date contest. The winner turns out to be none other than his former high school friend and crush Hailey Halpert. Hailey and Jilly rekindle their friendship and decide to give dating a try. But Hailey has a secret that could ruin everything if found out. Jilly was so sweet. He was a really great guy, and I loved that he was a bit awkward. He wasn't the best with girls or how to talk to them, and I found his character endearing. I loved that he really put his heart on the line with Hailey, even if he didn't spell it out completely. He was really trying, even if he didn't go about it the best way. Hailey on the other hand annoyed me at times. I never really connected with her character and I just didn't understand a lot of her actions. I felt like she should have been able to be more honest with Jilly and didn't get why she hid so much from him. These two had history and a great friendship, and they clearly had a lot of chemistry as well. But their communication was a huge issue, and it never got better. I understand that a lot of that was part of the plot, but honestly after several times of miscommunication or the characters just flat out not talking I was over it. Besides the constant communication problems, I also felt as though this book was choppy and disjointed. It would often times seem to skip around a bit and I thought that it could have used smoother transitions. Several times it would go from the characters being really upset with one another to flirty and fun, and then right back. It just didn't flow well, and was kind of hard to stick with at times. I also thought that the story felt rushed while also feeling really slow. It is hard to put into words, but Jilly and Hailey reconnected and next thing you know after four years of not even talking to one another they are a couple. But then their actual relationship progressed so slowly that they weren't really together until the last couple chapters of the book. It was just kind of confusing and hard to ever really get into this story. I am curious to go back and read the previous two books, but I think for the most part this one just had a few too many things that didn't work for me. If you have read the previous books though, I think you will definitely want to read this one especially because Jilly was really great. Meet Jayne Fresina, author of Sinfully Ever After. The Demon Count was originally published in the 1980s. 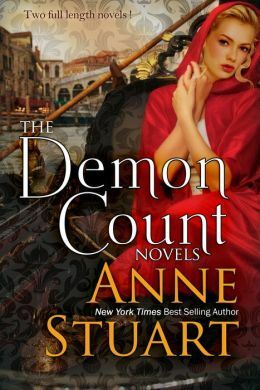 The recent publication has “The Demon Count” and “The Demon Count’s Daughter” published together instead of two separate stories. First, I love Anne Stuart and “The Demon Count” is vintage Stuart. She creates such a dark and scary atmosphere in this book that I was captivated. She also plays with the reader and the characters in such a way that we start to question what we are reading. She has so many plots going on in this book that I was on the edge of my seat trying to figure out what is real? What is really going on? I think Stuart is brilliant in that aspect. Her characters were also vintage. Charlotte Morrow is basically and orphan and goes to live with her guardian in Venice, Count Luc del Zaglia or the Demon Count as Charlotte refers to him. Del Zaglia could care less about his ward but accepts her into his home regardless. Charlotte is very naive. I do have to say that this book was originally written in the 80’s and there is the typical naïve heroine with the sinister –controlling hero. But I really enjoyed it. I can’t give away too much away because it would ruin the book, but I loved how Stuart played the different plots. When Charlotte arrives to live with her guardian, Venice is terrified of the “Ghoul of Venice.” He is a Jack the Ripper type villain. Del Zaglia is a prime suspect because of his very eccentric lifestyle. That and he was rumored to have killed his first wife. Since Charlotte is new to Venice and does know Del Zaglia she is terrified and intrigued at the same time about who Del Zaglia really is or what he is. Del Zaglia is a typical Stuart hero. He is dark and has very witty and almost crazy comments to make to Charloette. I really enjoyed his character. Charlotte is young, beautiful and rich and has many suitors around her. But her heart doesn’t belong to any of them. The second story is “The Demon Counts Daughter.” This story centers on Charlotte and Del Zaglia’s daughter- Lucinda de Zaglia. Luciana is nothing like her mother. Where Charlotte was young and naïve Lucinda is strong and in control. She travels back to Venice to her father’s old home. Her purpose in returning is very closely intertwined with her father’s old life (which I will not give away). Lucinda sets her eyes on Evan Fitzpatrick. Although Evan doesn’t want anything to do with her Lucinda is not easily deterred. Evan is not considered respectable because he is a divorced man. Overall, both these stories were really interesting and I was eager to see both stories unfold. Although the Demon Count is darker and almost gothic, The Demon Count’s Daughter is lighter and more of a romance/spy story. 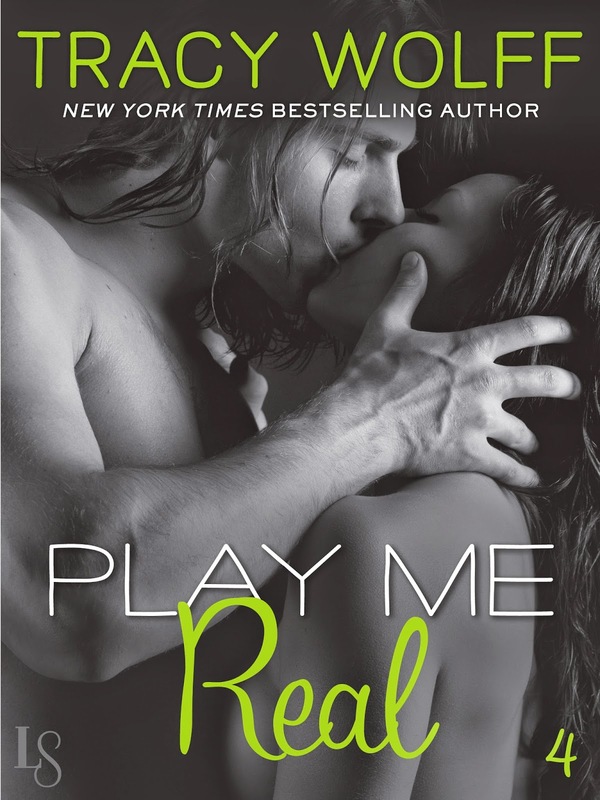 I am a fan of Alyssa Rose Ivy's and I really like her Hazards series. The stories and characters are great, and I know that I am going to enjoy them a lot. However this one was not the same at all. It felt kind of forced to me, and I just wasn't feeling it. As much as I was hoping to love this friends to lovers Christmas novella, I found that I was a bit disappointed with this one. Savy and Glen are best friends, and have been since they were kids. Their grandparents always rented cabins in Colorado for Christmas, and the tradition has continued years later. While Savy and Glen only see each other once a year, they call and text each other year round. But when they end up kissing under the mistletoe, things change between them. Now a year has gone by, and they haven't spoken to each other since that night. Glen realizes that he made a mistake, but will Savy be able to forgive him? Glen and Savy were cute together, and I did feel as though they had a good connection between them. They had a lot of history and tradition behind them which helped a lot. But I also felt that while they had a good base for a relationship, that things between them didn't really happen in a great way for me. They didn't really spend much time together. They didn't have great communication, despite talking and texting being the basis of their friendship. I wanted these two to ease into the transition of becoming more than just friends, but it just felt rushed. I felt like these two had the attraction between them, but it just didn't really spark the way that Alyssa's characters usually do. While this one was cute and had some holiday cheer to it, it just wasn't what I have come to expect from Alyssa Rose Ivy and her Hazards series. I liked the characters, but didn't love them. I wanted to feel more of a connection to them and between them, but I just never did. I felt that the story had a bit of a forced and rushed feeling to it, and I didn't really like the jump in time of a year. But I also felt as though the dialogue was confusing at times as well. Sometimes it almost seemed as though I had missed something, and I would have to go back to check. I will say that I did like Dalton and Laney's characters a lot, and I think that they are both interesting enough to have their own stories. I hope that maybe we will get those in the future, especially Dalton's. I really like Alyssa Rose Ivy and her Hazards series, and would definitely recommend the series to NA fans. But this one just wasn't the same for me. 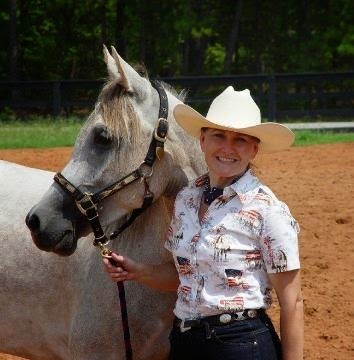 Meet Victoria Vane, author of Slow Hand. Home is the final installment in the Social Media series by J.A. Huss, and while I have been waiting for it's release I have also been dreading the end. I have absolutely loved Grace and Vaughn's story, and I am not sure that I will ever be ready for their end. That being said, I really loved this final part to their story and I thought that J.A. Huss did a fantastic job of giving Grace and Vaughn the perfect ending for their characters. Home picks up where we left off in Profile, with Grace back at home and out of danger. But while Grace might be back physically, she isn't the same girl that Vaughn first met. As Grace and Vaughn struggle with everything that has happened and the effects that Grace's past has had on her, Vaughn's past begins to resurface as well. While Vaughn tries to deal with the newest threat to his and Grace's relationship, they both begin to wonder if they can make it through together. I have loved Vaughn and Grace from the very beginning. Vaughn has always been a cocky alpha, determined to get what he wants. But then Grace came along and for the first time he had to work for it a bit. Grace was feisty and fun and so different from what Vaughn was used to. I loved seeing these characters grow and change over the course of this series and it was so fun to watch them challenge each other. Grace and Vaughn were so perfect for one another from the very beginning, but I thought that they really seemed to just get stronger with each installment. They were supportive of one another and I loved seeing them fall in love and figure out how to work together as a couple. These two were far from perfect and they both made mistakes along the way, but their imperfections are what made these two work so well together. They had off the charts chemistry, but they also had such a strong emotional connection and completed each other in ways that no one else could. Overall, I really loved this series. Each installment was as good if not better than the previous one, and I thought that J.A. Huss did such a wonderful job of letting the reader see all the different sides to these characters. She continued to impress me with each new installment, and I loved the way she had everything tie together and make sense in the end. This really was a great ending to the series, and although I am sad it is over I really think that she could not have written a better ending for these two. I know that Vaughn and Grace will always be a favorite book couple of mine, and I will reread their story over and over in the future. Grace and Vaughn were so real and I really thought that J.A. Huss gave the reader something so unique and different with this series. I can't wait to see what J.A. Huss comes up with next, and I look forward to reading more from her in the future. Susanna Fraser delivers a fun and heartwarming novella in “A Christmas Reunion.” I never read Fraser before so I was not sure what to expect. I was pleasantly surprised and enjoyed reading the novella. When the story begins we have our hero-Gabriel Shephard. Gabriel is a soldier. He is home for the holidays but he has a little girl with him. He is responsible for her. Gabriel had a falling out with his family and doesn’t go directly to visit his family, instead he sends a letter explaining why he is in London. One of the reasons for his falling out is because he was caught kissing his family’s ward-Lady Catherine Trevilan. Five years have passed and Lady Cat is engaged to another person. I really enjoyed this novella because I thought that the author really developed both their back stories. I had some very good insight into who Gabriel was as a person and who Lady Cat was as well. Both Gabriel and Cat were raised by their guardians. Lady Cat’s guardian wanted her for his eldest son but he ended up marrying someone else. As the years passed both Gabriel and Cat had a chance to mature but not to outgrow their feelings for one another. As can be expected when Cat and Gabriel are reunited they both feel the same about each other. Even though Cat is engaged there are many different reasons for her to break her engagement. Her fiancé has a few secrets of his own. Overall, this was a sweet and interesting read. I liked the characters and the story line. I wanted them to end up together and I was curious to see how the author would resolve the different obstacles that they had thrown at them. I plan to read more by Fraser. This was a fun holiday treat.